Kaiten sushi is very popular in Japan and I have the pleasure of eating at one of these sushi restaurants once every few weeks. I like to call it moving sushi because that’s what it does, moves around waiting for you to eat it! Variety differs from place to place and there are even popular restaurants where friends and I travel 1 hour out of the city to find the place. 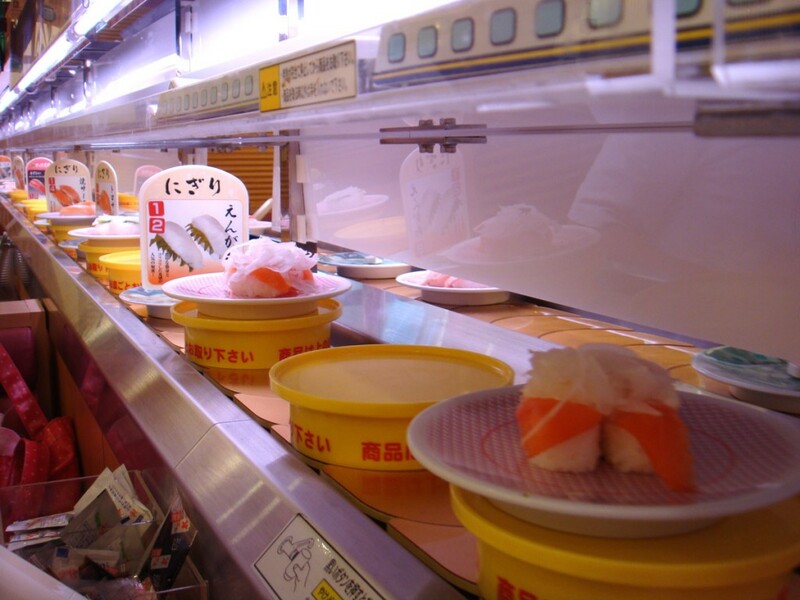 For those new to this type of food, “kaiten” means “to rotate” and plates are served with sushi and sashimi on different style and colored plates to determine the price. You don’t have to eat only what’s on display. Customers can also make special orders if they cannot find the sushi they want. A sushi that plate that you order is also placed on the conveyor belt if it’s a small amount and it’s marked with your seat number so other customers know that it is a special order and not up for grabs. However for large orders, an attendant may bring it directly to your table. 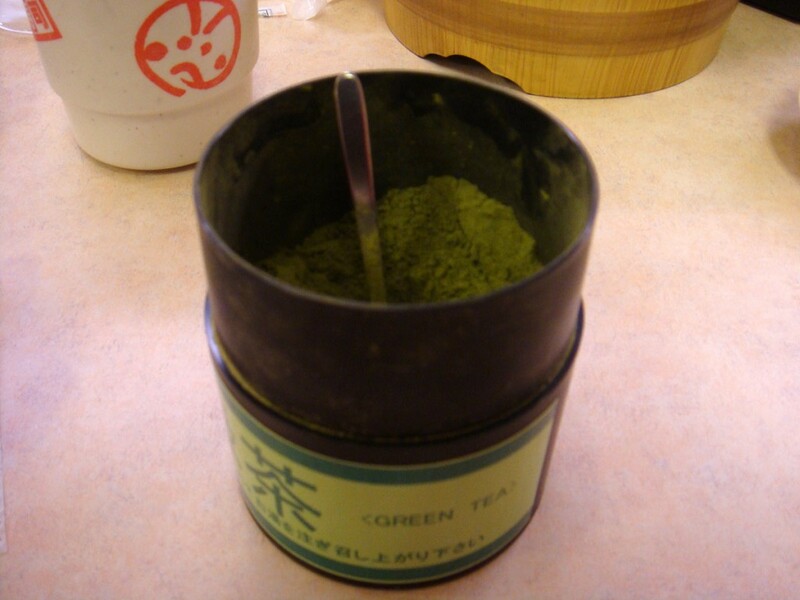 Unlimited hot matcha green tea is usually available directly at your seat and the average meal time takes about 15 to 30 minutes even with a group of friends. The price of each sushi dish is determined according to the colors, patterns, or shapes of the plates and usually ranges from 100 yen to 500 yen. The cost of each plate is shown on posters in the restaurant. The bill of the customer is calculated by counting the number and type of plates of the consumed sushi. Here’s a brief history on moving sushi. 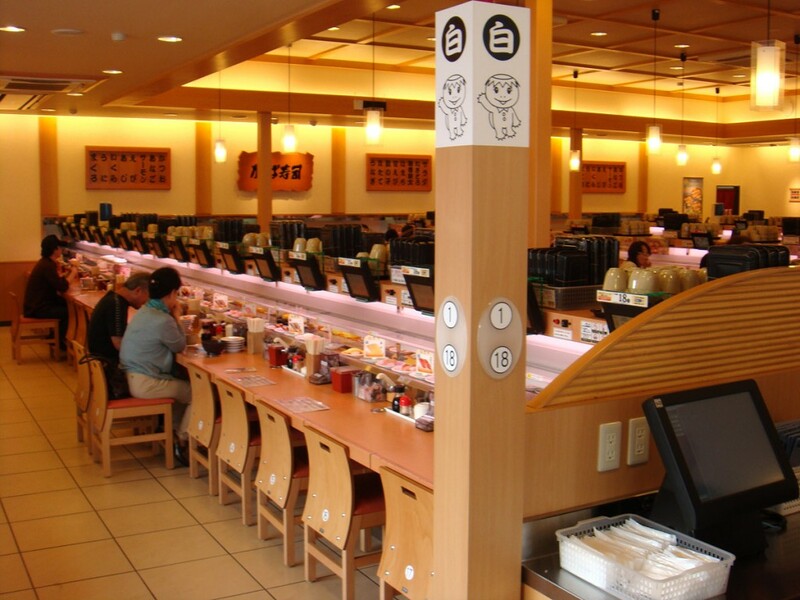 Kaiten sushi, also known as conveyor belt sushi, was invented by sushi restaurant owner Yoshiaki Shiraishi. He was having a hard time managing his restaurant by himself and having difficulties staffing his small sushi restaurant he had to think of something to keep his business going. After watching beer bottles on a conveyor belt in an Asahi brewery, he got the idea of a kaiten sushi. When you visit Japan, this type of restaurant should be at the top of your list! It’s a great place for lunch. This article was contributed by JapanitUP.com where you’ll find news, tips, and info about Japan. Visiting doesn’t have to be expensive, and many great deals are to be found on tasty street food and traditions worth experiencing while you’re there!